Although popular as a candy flavoring, licorice root has far more value than just as a candy. For centuries, it was used as a tonic and for respiratory nourishment in addition to liver support. Traditional Chinese medicine employs licorice in herbal blends to balance the properties of the other herbs. It is known to encourage well-being and promote proper balance. The herb contains glycyrrhizin, a triterpenoid saponin. 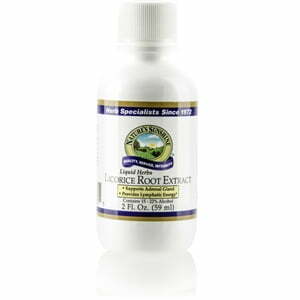 Nature’s Sunshine Licorice Root comes in liquid or capsule form. Instructions: Take approximately 20-25 drops (1 ml) three times daily with water. 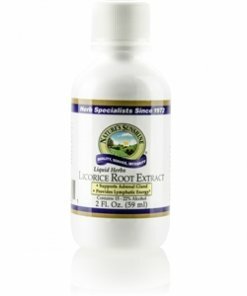 One ml is equal to two capsules of licorice root. A natural and pure extract composed of the finest licorice root (Glycyrrhiza glabra) in water and alcohol.